Vice President, Product Management, Arcserve, LLC. 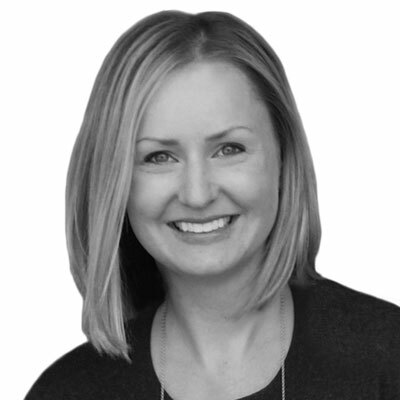 As Arcserve's VP of Product Management, Erica's role encompasses product planning, pricing strategy, technical communications and competitive intelligence. Erica has 15 years of product strategy, management and development experience across enterprise storage, data protection and information management. In addition to implementing agile development and planning practices, she led commercial business strategy and product planning initiatives for Veritas' mid-market backup and recovery organization. Erica also established a competitive intelligence discipline within the products organization at Symantec, where she introduced best practices to enable the design of differentiated offerings. Erica is passionate about the channel and growing a customer-focused culture. She is a champion of continuous learning, demonstrated through a track record of nurturing talent and building strong teams. Erica has a double major in Mathematics and Computer Science from the University of Wisconsin-La Crosse and is an alumni of Harvard Business School's Program for Leadership Development. She has two patents, both in systems and methods - one for Setting an Activation State for a Device Used in a Backup Operation and another for Predictively Preparing Restore Packages. Erica lives with her husband and three children in Blaine, Minnesota, where they enjoy attending sporting and music events and trying new restaurants. Since joining Arcserve in June 2016, I have had a notable impact on my company's investment to deliver innovative technologies and an exceptional channel partner experience. By continuing to bring to our channel partners enterprise-ready features in a timely manner, they are well positioned to increase sales and expand their market share. Some areas that my team and I are particularly proud of include: Helping to form and strengthen partnerships with Amazon AWS, HPE, Microsoft, NetApp, Nimble Storage, and VMware, connecting our channel partners with technology leaders to broaden sales opportunities and increase revenue streams. Leading the development of our next generation, award-winning Arcserve Unified Data Protection (UDP), which has driven a UDP sales increase of 30% YoY. With this release, our partners can deliver higher operational efficiencies as they improve their RPOs and RTOs. In October, Arcserve announced our 2nd generation UDP Appliance series, which has grown by 22% YoY. This release enabled our partners to expand their addressable markets by offering substantially more storage, new hardware upgrades and field expansion capabilities. Our continued success is just one result of our innovative approach to solving complex data protection challenges by converging traditionally siloed technologies into a single, easily-deployable solution. As a 100 percent channel-focused organization, Arcserve is dedicated to delivering highly robust, yet elegantly simple data protection solutions and support that make it easy for our partners to exceed their customers' expectations. For 25 years, our solutions have consistently redefined the way businesses protect their most critical data, and 2017 will be no exception. Through some exciting new offerings we will bring to market as part of Arcserve UDP, we will provide our channel partners with new opportunities for portfolio and customer expansion, as well as affordability for any size business. In October 2016, I earned my 2nd patent award for an invention related to predictively preparing a restore package. Receiving this news from the United States Patent and Trademark Office (USPTO) was particularly exciting because it is my first solo patent and is significant because it represents an innovation that will change the nature of data protection in the future. Michelle Obama strikes me as a woman who balances her priorities effortlessly and gracefully. She is a professionally-accomplished, dedicated mother and wife who takes a family-first approach. She is passionate for and an extremely well-spoken, effective advocate of health, wellness, and fitness for all (particularly kids). And with all of her success and fame, she seems to keep perspective and remain humble. My advice to young women entering technology involves developing confidence and taking risk, as well as being comfortable in your own skin. First - You can do it. Just go for it and be confident. You can do anything as well as anyone else (or better!). Second - Embrace who you are. Don't change to "fit." What makes you different and unique is what will be valued and what will get you there in the end. I would be Aladdin to make people's dreams come true. To make reality something thought to be out of reach. I would reserve a private island for a getaway with my closest friends and family. Somewhere like Necker Island in the British Virgin Islands - it is incredibly beautiful and has a storied past. And you can make it as relaxing or as active and adventurous as you'd like.